Meghan Golden is a global branding, communications and association management leader who is responsible for driving the growth and development of the veterinary profession since 2003. Combining strategic vision with the ability to take decisive action, she has earned the reputation for achieving results through identifying new opportunities, building management teams, moving products to market and driving revenue to achieve organizational objectives. In her previous role as Vice President of Marketing, her notable accomplishments include marketing and communications campaigns that resulted in record-breaking VMX (formerly the NAVC Conference) attendance for three consecutive years, the launch of VetFolio – a disruptive online learning platform that has earned global recognition, the rebranding of the NAVC, a pivotal step in accelerating the organization’s current growth and service offerings and helping to complete a successful move to the Orange County Convention Center. Meghan successfully led the transformation of the NAVC from being known as the world’s largest veterinary conference to a global community that relentlessly strives for better care for animals everywhere through collaboration. With more than 16 years in association management and meeting planning experience, Meghan has helped manage and facilitate meetings on all seven continents – and yes, that includes Antarctica. She is responsible for developing and implementing the association’s international advocacy, outreach and educational initiatives, including international speaker exchanges and symposia management, tradeshow and promotional efforts and the NAVC’s Colin F. Burrows International Scholar Program. Meghan served as a founding member of the NAVC’s Industry Services division as a trusted advisor and provided strategic counsel and operations support to the association’s rapidly growing list of clients and partners. Positioning the NAVC as one of the world’s only non-profit vertically integrated association and professional conference management company exclusively for the veterinary profession. Areas of expertise include client transitions and onboarding, symposia management, credentialing, rebranding, marketing, concierge services, event operations and strategic planning. 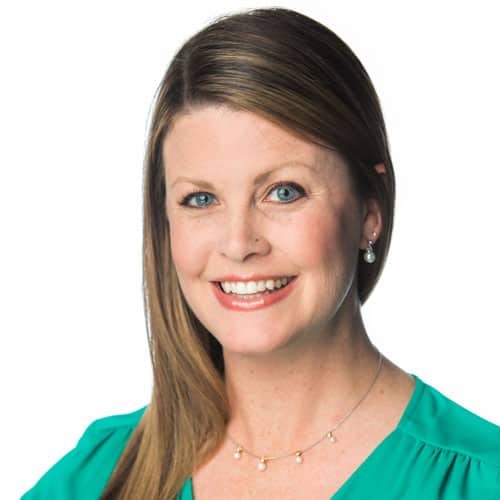 Originally from Connecticut, Meghan moved to Gainesville, FL to complete her Bachelors of Science in Public Relations and Journalism at the University of Florida, where she also earned her Masters in Business Administration from the Warrington College of Business. She was named an Association Forum & USAE 2018 Forty Under 40 Award Winner and is a member of the American Society of Association Executives and the Public Relations Society of America. Meghan, her husband Blake and Murphy the Sheltie reside in Orlando, Fl.